These Korean Chicken Rice Bowls take less than 15 minutes to make, so they’re a great option for quick weeknight meals or in the summertime when you want to limit having the stove on. 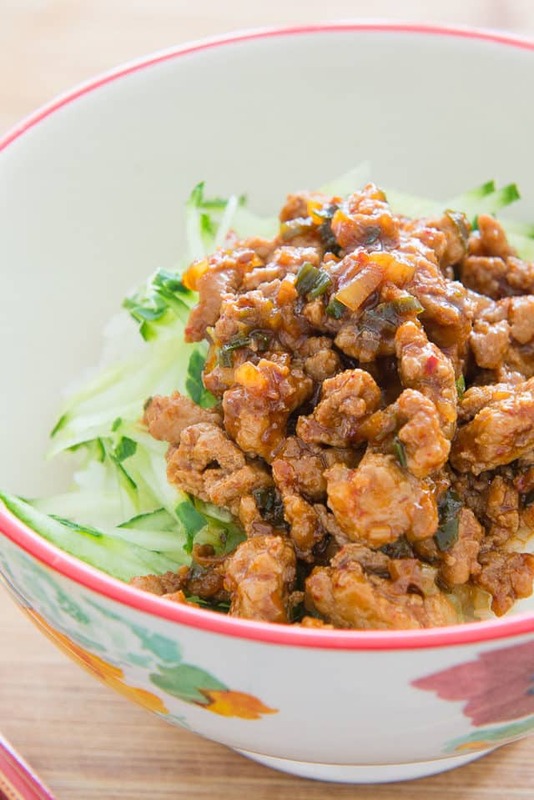 Lean ground chicken gets tons of flavor from Korean ingredients like gochujang, red pepper flakes, garlic, ginger, and scallions. It’s flavor city! I’m on a personal mission to love ground meat more. (I know that sounds weird, but it’s true). Ground meat has so many merits, yet admittedly it has never been a “cut” that excites me. When I think ground meat, I primarily think of burgers, meatballs (or meatloaf), or ground beef tacos. And though I do like those dishes a lot, sometimes I get tired of them. 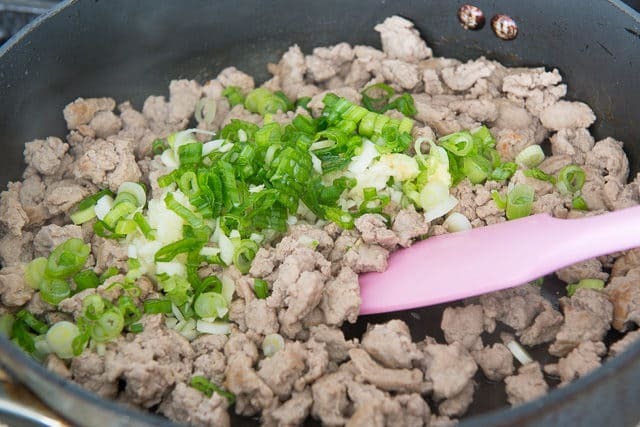 I’ve determined that succeeding in my mission really comes down to having a bigger collection of recipes that use ground meat, and this is a good one to add to the arsenal. In some ways, I think ground meat needs to be treated like tofu. Meaning, it needs lots of flavor added to it. 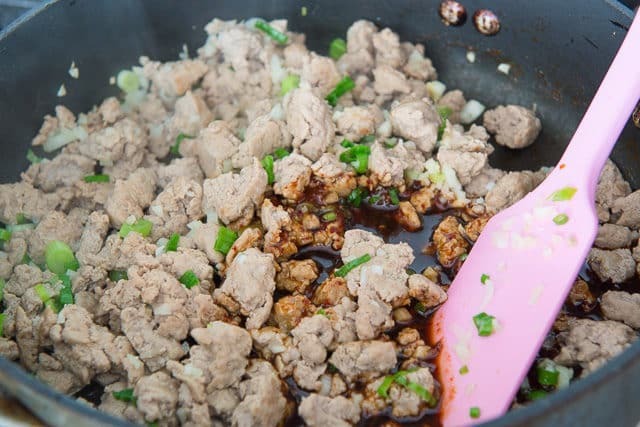 People typically aren’t eating ground meat cooked in oil and seasoned with salt and pepper. Rather, they’re eating it in a taco with tons of spices added to it, or in a burger that’s well-caramelized and paired in a bun with other ingredients. 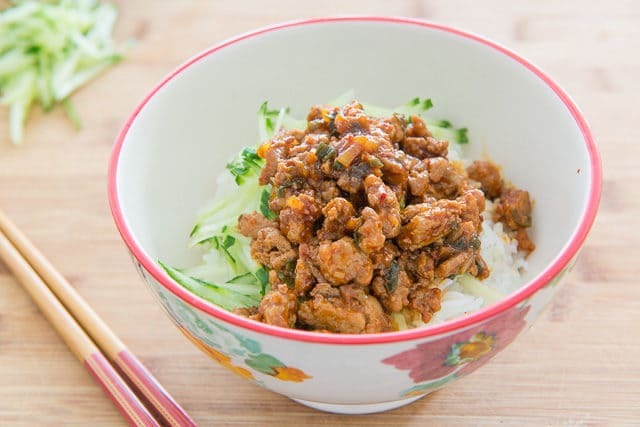 This Korean chicken mixture has lots of different flavors added to it that make it umami, savory, a little sweet, and a little spicy. Then I like to add a little fresh shredded cucumber and steamed rice to add a veggie and a starch. Let me show you how to make it! 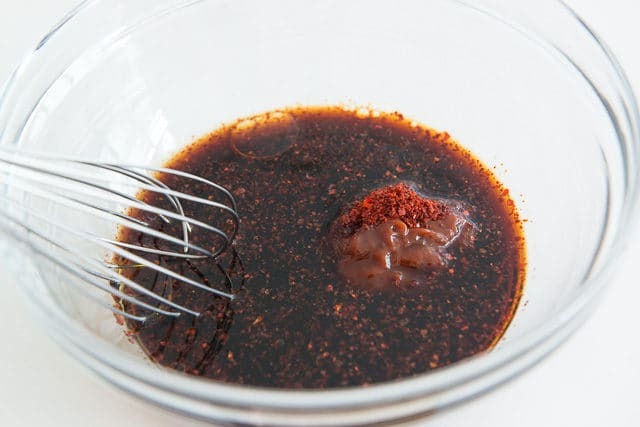 What is gochujang? It’s a Korean red chili paste condiment that’s savory, sweet, and spicy (though I’ve found that the spiciness really varies). In terms of where to find gochujang, I’ve found that it has actually become pretty widely available. My local Whole Foods carries it and it’s also in most Asian sections of the grocery these days. It’s worth finding! Stir it all around for one minute, to wake up the garlic and ginger. I use a mandolin to quickly shred the cucumber into small sticks. 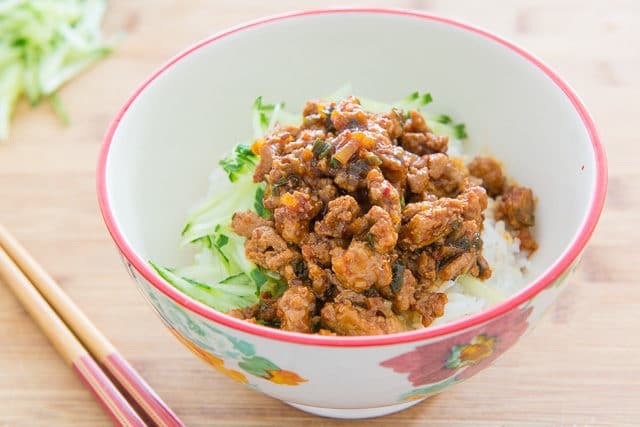 The cucumber adds a nice freshness to offset the rich umami flavors in the meat and sauce. Don’t skip it! You now have dinner on the table! If you have leftovers, they will keep well for a few days. Enjoy! 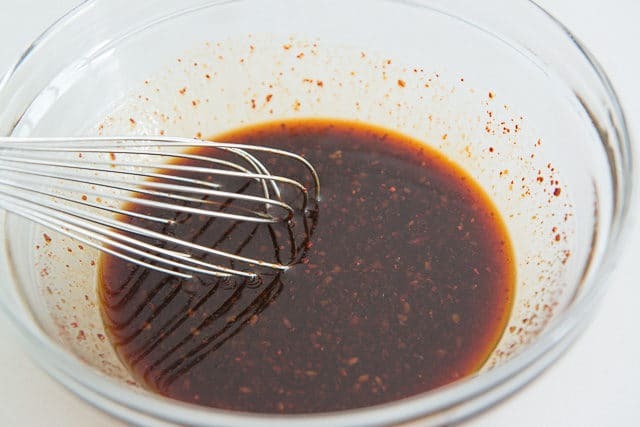 Whisk to combine the soy sauce, gochujang, honey, sesame oil and red pepper flakes in a small bowl. Heat a large nonstick skillet over high heat. 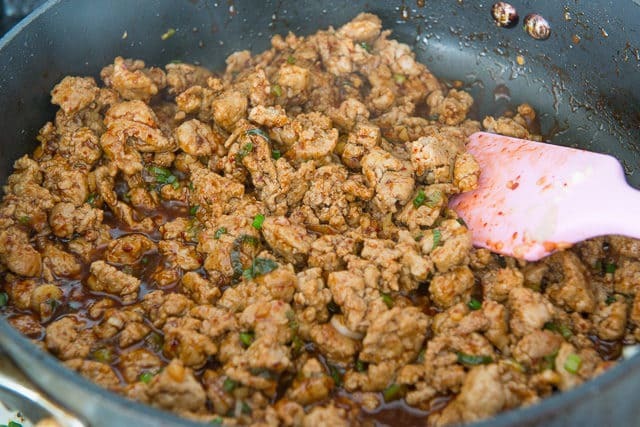 When hot, add the grapeseed oil and ground chicken. Use a spatula to break the meat up into small pieces, and brown for about 5 minutes, until the meat is cooked through. Add the scallions, garlic and ginger to the pan, and cook for 1 minute. Add the sauce to the pan, and simmer over medium heat for 2-3 minutes, until it coats the ground meat well. 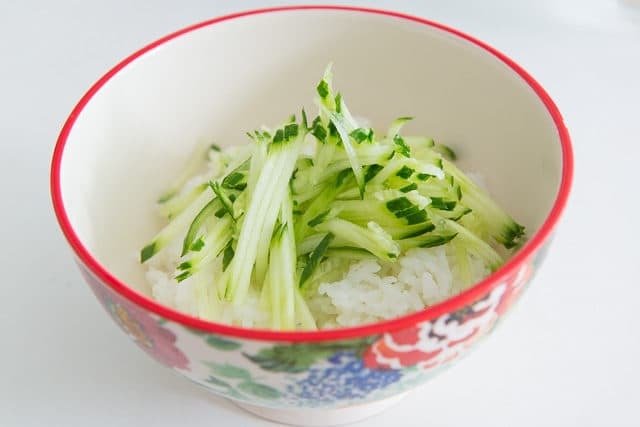 Serve the chicken in bowls with the shredded cucumber and rice. Enjoy! 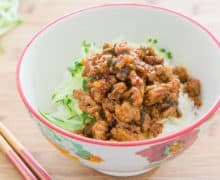 Feel free to use low-sodium soy sauce: As made per the recipe, the meat mixture on it own is salty, but when eaten with the plain rice and plain cucumber, I find it works. If you’re concerned about salt, I suggest using a low-sodium soy sauce. 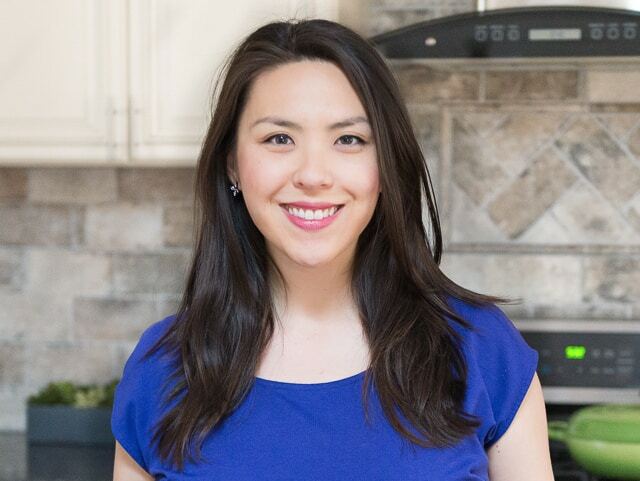 Where to find gochujang: I have found it in many Asian sections of the grocery store, and I know Whole Foods carries it. How to reheat this dish: Warm it up in a skillet over medium heat for about 5 minutes, with a few tablespoons of water added, stirring often. Or microwave it. Storing leftovers: This dish will keep in the fridge for 3-4 days, and reheats well. Freezing leftovers: The meat mixture and rice both freeze well, and will keep for 1-2 months. Thanks so much Joanne, I will definitely check that out. If I am in a bind, would Sriracha sauce work? I think Sriracha in place of gochujang would not taste good, unfortunately. It’s typically best as a condiment. Good luck! Just made this with ground turkey and it was delicious. I had gochujang in a powder and skipped the cucumber- just can’t take the taste. So just paired this with cauliflower rice, and my boyfriend and I loved it! He likes spicy so he added chili sauce, so it can be adjusted. Thanks!